Upstairs are three bedrooms, an en-suite double with wall mounted TV, a twin (with TV) and a single. The bathroom has a spa bath and there are integrated units for the washbasin & loo in both bathroom and en suite. Behind the cottage the patio, with furniture and gas barbecue, is accessed via french doors from the conservatory. 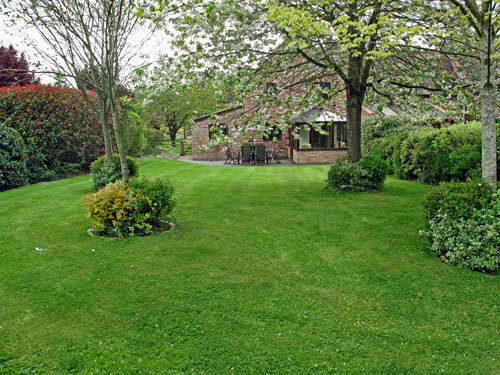 The large lawn is surrounded by shrubs and the garden is fenced all round for total security. 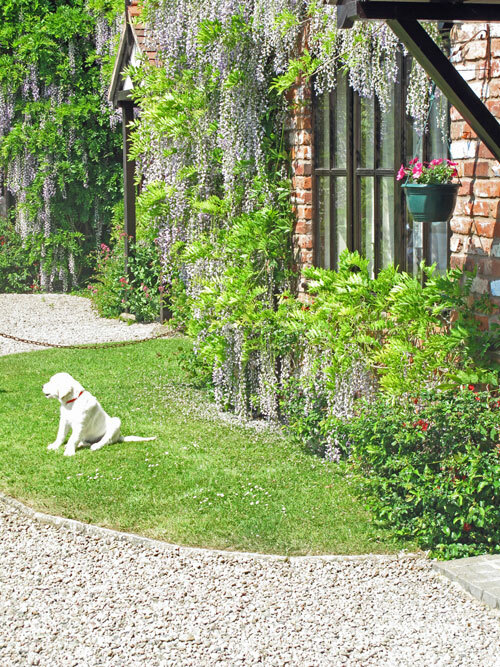 The cottage has its own front driveway with parking for two cars. Off the hall the cosy lounge has an open fire and 40” T.V. The kitchen/diner with separate utility leads via french doors to the conservatory. There is a ground floor cloakroom with loo and washbasin. With wifi internet access. 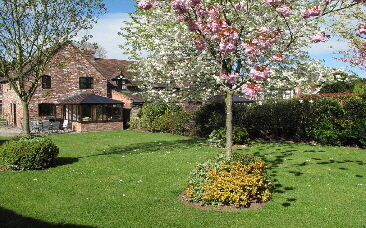 We are veterans of Premier Cottages and this is the best equipped cottage we have been to across the country. Even in winter the village is beautiful with its many manicured hedges. The Millennium Book is a real gem. Ludlow’s charm is legendary. John & Joy, Wolverhampton. January 2017. Beautiful clean cottage. Thoroughly enjoyed it. Wish we could stay for longer. Will be back soon. It’s the best self-catering place we have ever been to. Elizabeth, Alistair & Bethany. April 2017. Another amazing week at Threshers Cottage. Discovered Westonbury Mill Water Gardens near Pembridge - superb, dog friendly with an excellent tea shop. Looking forward to returning to Threshers again next year. Bob & Andrea, Fleetwood. May 2017. Fabulous. If you’re reading this (in the Cottage) then you already know how clean and perfectly equipped this cottage is. I wish we could pick it up and take it anywhere. Fantastic. Karen & Clive, Manchester. May 2017. Our 4th visit and it never fails. Had a lovely week, just feels like home. Booked again for next year and already looking forward to it. Paula, Allan & Sarah, Warrington. June 2017. Another wonderful week at Threshers. Our second home. Doreen & Carolyn, Malvern. July 2017. 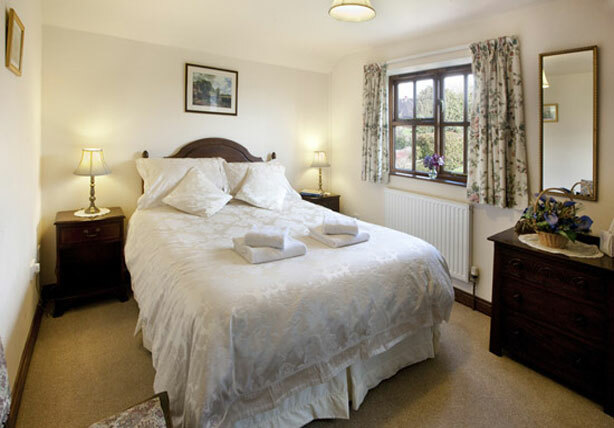 This is our ‘Dream Cottage’ - all the modern comforts in delightful decor - all harmonised. The village has a very special atmosphere. Norman & Lynda are thoughtful hosts. Lesley & Graham, North Harrow. July 2017. Another lovely stay at Threshers. We visited Croft Castle for the first time - what a lovely place and very dog friendly. Food supplied by Sally was great & very convenient. Thank you Lynda & Norman for providing such a relaxing place to stay. Stephan & Jean, Nantwich. July 2017. Another wonderful week - it wouldn’t be summer without a week at Threshers!! See you next year . . .
Pat & Priscilla, Islington. August 2017. 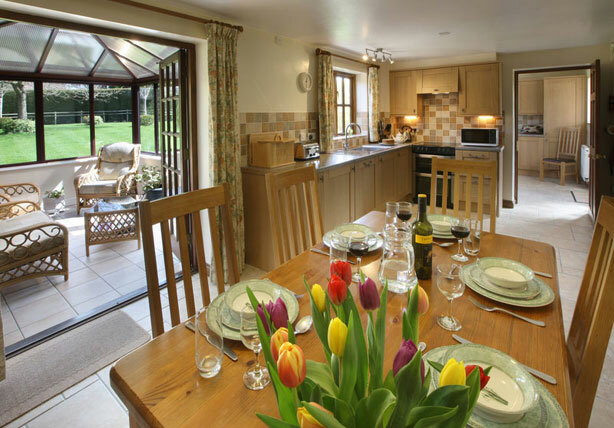 A perfect holiday cottage, everything we wanted and more! Enjoyed our stay very much, thank you for the very warm welcome. Hope to see you again. June & Ken, Chris & Kim, Reading. September 2017. 1st visit and can truly say what an amazing place to stay. We have had the most wonderful time. Sally’s food made Oliver’s 11th birthday so very special. We will be back and recommending it to all our friends. Thank you, just what we needed. Can’t wait to come back. Laura, Paul, Daniel & Oliver, Basingstocke. August 2017. Yet another enjoyable visit to our favourite cottage. Our grandchildren and their parents stayed with us over the weekend and really loved the garden. We never tire of the walk from Whitcliffe Common into Ludlow returning via the Breadwalk. The market is always worth a visit as is the Castle Tea Room for coffee and cake - dogs welcome. Visited Witley Parish Church - a magnificent building with dog friendly Tea Room. Finished the week with an excellent meal at Bistro 7 in Ludlow. Booked again for 2019. Andrea & Bob, Fleetwood. April 2018. Everywhere spotless as usual. Lovely stay. Loved the birdlife in the garden. Hope to be here for my 80th next year. Doreen & Carolyn, Malvern. June 2018. Lovely cottage, lovely aea. Fabulous flying display from the bats each evening. So much to do and so little time. Rod & Marion, Worthing. July 2019. Thank you Lynda & Norman for another great week. See you next year. Pat & Priscilla, London. August 2019. Many thanks Norman & Lynda for the welcome tray especially adapted for vegetarians. 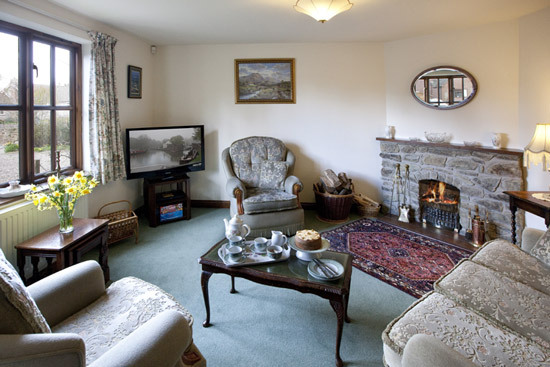 The cottage is absolutely wonderful and you provide everything anyone could possibly require. 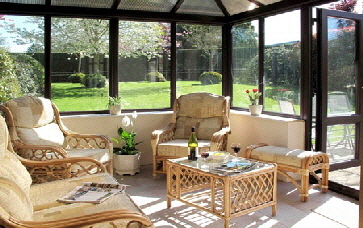 The private garden and lovely conservatory are especially appreciated. It’s easy to see why it’s a gold standard. John & Shirley, Derbyshire. September 2018. Another wonderful few days in this lovely cottage. This area is just perfect for gentle exploration and the village and the super-friendly villagers have made this holiday to remember. David & Rosemary, Cheshire. October 2018. 12th Visit. Lovely walks, relaxed and chilled out. Cottage as welcoming as always. Sonia & Tim, West Mids. November 2018.